Description: We all get tired of that one meal mom keeps making. Oatmeal is definitely hard to swallow every morning. Description: Spaceports & Spidersilk features some of the best science fiction and fantasy fiction and poetry for kids of all ages. The April 2018 issue will take you to places you might never have imagined. It will appeal to your inner child, and hopefully take you back to the places you loved as a child…and if you’re still a child, it will open your imagination to all kinds of new worlds. Description: Not all poems have to rhyme. Come explore the world of Japanese word art. Description: Young nature lovers unite! This issue is all about the wonder of trees. Description: The “Golden Rule” is for everyone. When a young girl starts to learn about the different ways to say it, she finds that every culture and faith has their own way to express the “Golden Rule.” Celebrate a love of diversity and acceptance in this beautifully illustrated tale. Description: A young girl realizes that her family celebrates a different faith than most. 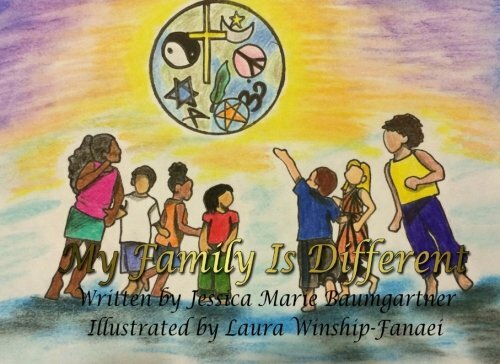 When she questions her friends about their beliefs she learns that they all have different backgrounds and comes to understand that all families are different.